Since 2007, Shari Lynch has specialized in the art of eyelash extensions. With the growing demand of this service, in 2011 La Petit Spa and Lashes was opened. They are dedicated to giving you the highest standards and quality available in the beauty industry. Lash Extensions are their passion, La Petit Spa and Lashes uses only the best products on the market using exclusively Xtreme Lash® products. Every lash technician at La Petit has gone through extensive training to stay ahead of the competition with the latest application methods. Their semi-permanent lash extensions are applied lash-by-lash, one at a time, with a safe, surgical medical-grade adhesive. They recognize that everyone is unique with different eye shapes, needs and lifestyles, and they can easily customize a look for every individual client. Their goal is to make sure you walk away elated with your lush new lashes and feeling more beautiful that you already are. As a client, they say you will notice how different their eyelash extensions are. Their new stylists go through extensive training and practice before offering any services to clients. They use the highest grade medical adhesives, and the most current lashes available. You will never leave in pain, with clumping or scary "spidery" lashes. No matter if you want to look natural or dramatic, the extensions will look seamless next to your natural lashes, leaving people wondering, "Are her lashes real?" Besides specializing on eyelash extensions, all of their stylists practiced esthetics extensively before becoming lash stylists. So to continue with that passion, we also offer a full range of skin services. Facials, Dermaplaning, Microdermabrasion, Mens and Womens full body waxing are additional services we offer our clients. We use professional grade Sanitas skin care in our treatments to provide an effective result. The team at La Petit Spa and Lashes is made up of 6 motivated and fun loving women. The entire team specializes in Xtreme Lash extensions. They love what they do, making women in the Knoxville area look and feel their best. 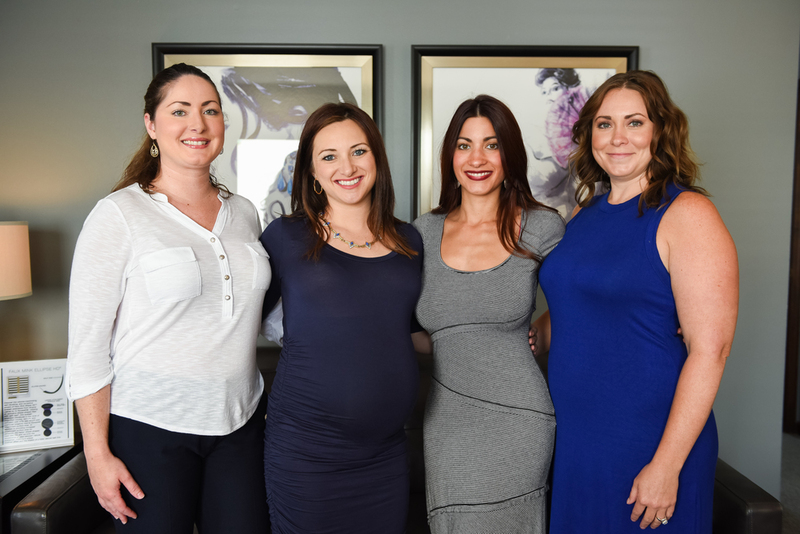 All of their estheticians keep up with continuing education to make sure they are offering you the best and most current services available. Their newest service addition is very new to the area, semi-permanent eyebrow services to fill in any gaps or sparse areas. La Petit Spa and Lashes will continually strive to be the place that a client looks to for relaxation, high quality services and at home products to enhance your treatments at the spa. Shari Lynch is the owner of La Petit Spa and Lashes. Focusing on business in college and then obtaining her Esthetics License in 2003, she has been able to combine her education to create a relaxing and professional environment to welcome clients to. She loves to use experiences from visiting other spas to create a place that she is proud to welcome clients to. Shari always wanted La Petit Spa to feel "unstuffy," a spa that you can receive the highest quality treatments available with the friendliest and most accommodating staff.